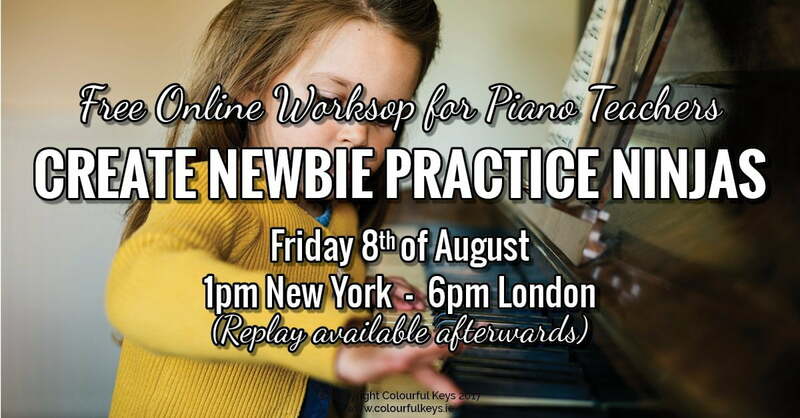 It’s September and, most likely, you’ve got a brand new piano student in your studio. How exciting! You get to share the wonderful world of music with these “blank slates”. But then the piano teacher flood starts in your brain. 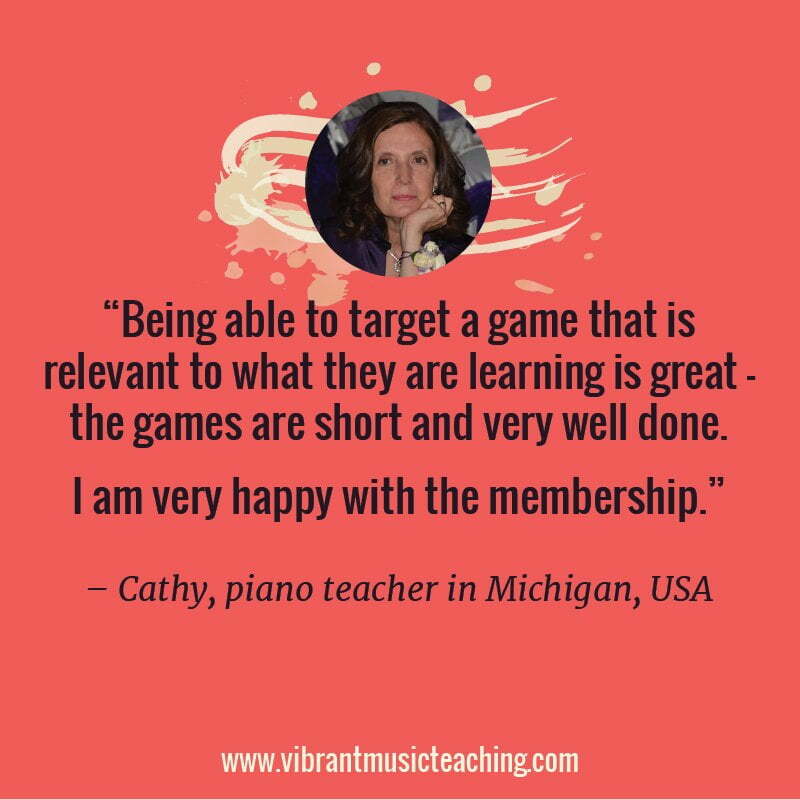 There’s simply SO MUCH to cover with these new piano students. Not just the music stuff, but the other stuff too. You’re not just introducing her to music – you’re also introducing her family to your studio. 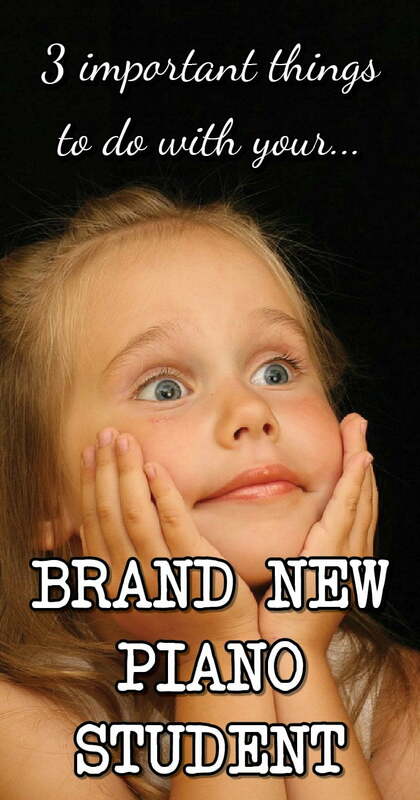 You want your new student to love music and be excited about it. Her parents need to be on board and committed to practicing. She needs to have a practice routine well-established. Her family needs to understand how your business runs and what’s expected. You want to get to know your student, what makes her tick, and establish a rapport. 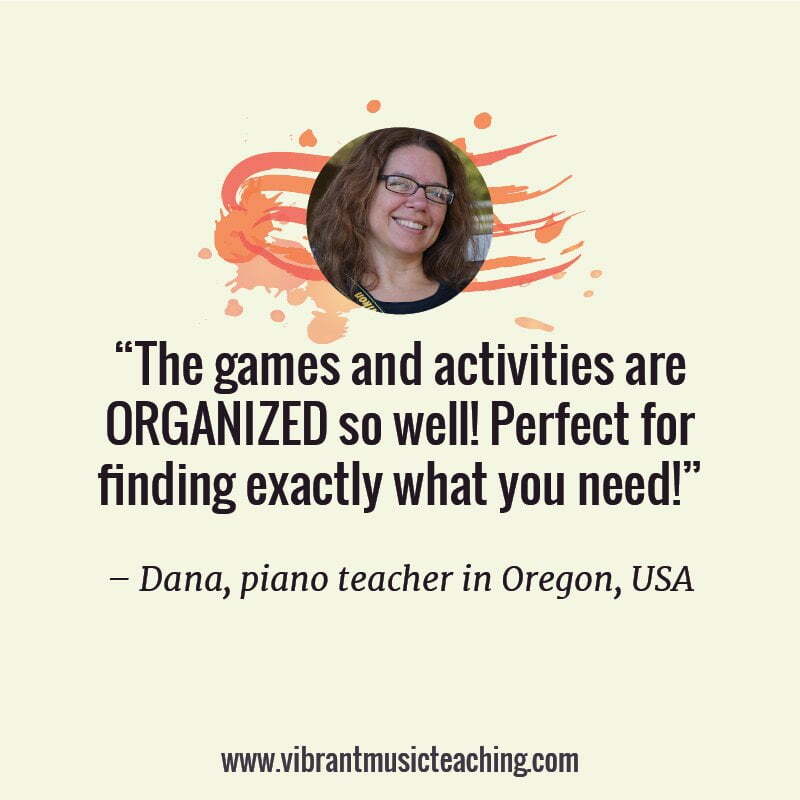 Ideally, your student would have something she can play that she’s super proud to show off to all her friends and family. Phew – what a list. Luckily, there is some overlap in these objectives – if we go about it the right way. Let me tell you something I’ve learned about studio policies: once unaware, always forgotten, and always “unfair”. What I mean by that is that if your piano parents don’t know about a policy from the beginning, they will consistently break it and expect exceptions, even if you inform them later. And you can’t be sure they know about it unless you have a face-to-face conversation. Not on the phone. Not in an email. Not in a printout in their folder. Because, no matter how much you may lament this fact, people don’t read, listen or open folders – at least not consistently. This is why whenever possible I like to have a meeting with a student and a parent before they start lessons. It’s better for the student anyway as she can get a feel for the studio before the big first day. But that’s not all. New student meetings (see what I do at mine here) are not revolutionary. What I want to encourage you to do at your’s though, is to talk through your policies. Depending on your personality, being this “businessy” might feel a little uncomfortable at first. It’s so tempting to just hand your new piano parents the policies and tell them to read it and come back to you with any questions. But as I mentioned above – people do not read. 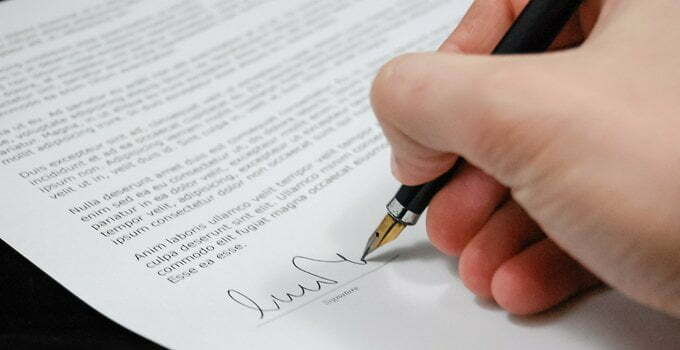 The next time a new piano student joins my studio I will sit down with her parent and explain my policies in a succinct, clear and friendly manner, making sure to leave time for and invite questions before handing them my policy document. 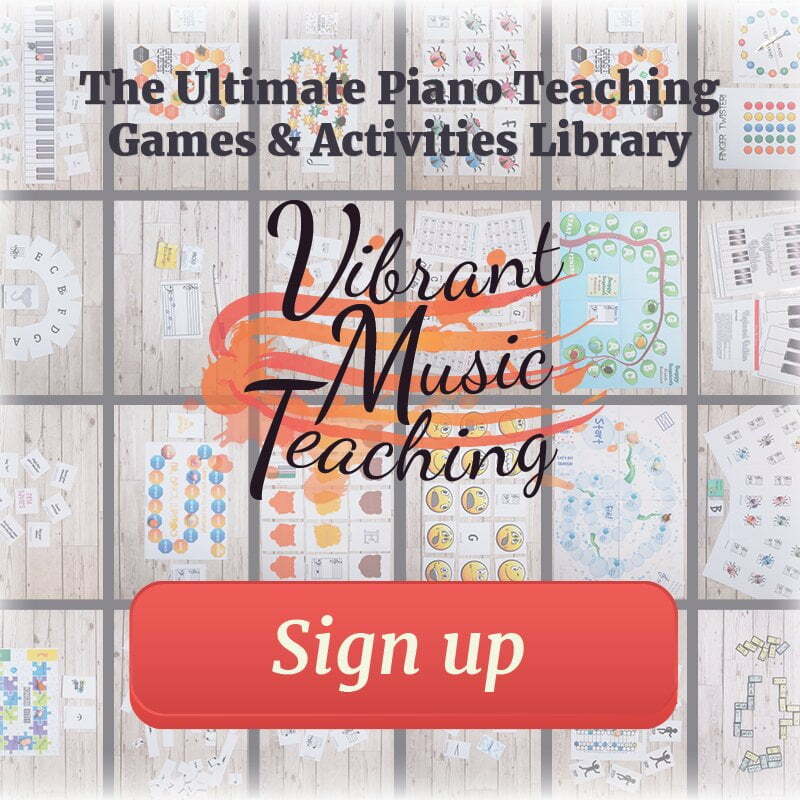 You’re probably pretty good at making the first few piano lessons exciting. But I want you to make them over-the-top amazing by giving your student the ability to immediately play some real music. I’m not asking you to change your method, add a whole bunch of new stuff or do anything that wild. Just make one of your top priorities in the first month to give your student a party piece. For many students this becomes something like Für Elise or The Entertainer later down the track, but there’s actually no reason they can’t have one straight away. How motivating would that be?! To be able to play something that makes your peers say “Wow!” after only a few lessons. What this is will depend largely on your student’s age. One thing will be true across the board, you can’t achieve this through reading. No matter how quickly they learn, or how awesome your method book of choice is, she won’t reach the wow standard of reading pieces in one month. 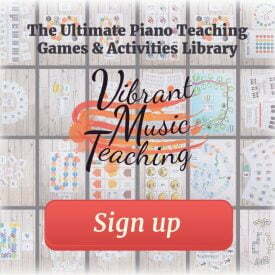 For a young beginner, try the wonderful rote pieces from Piano Safari or Repertoire by Rote. These pieces don’t sound like newbie pieces because when you teach by rote patterns, you don’t need to stay in the centre of the piano…and you get to use pedal. Pedal makes everything more awesome. 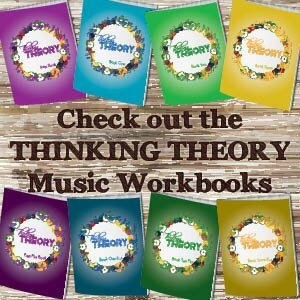 For an older student a chord progression will have more wow factor. Try a classic four chord progression or perhaps Tim Topham’s epic chord progression. Both should inspire your new piano student to get up and show off a little when they spy a piano. I will teach my student at least one wow factor piece that she’ll be super proud to play for her friends at the end of September. If you read about marketing at all, you will likely come across the idea that it’s much easier to keep a customer than to get a new customer. It’s equally true that it’s much easier to keep a student practice routine going than to create one from scratch later on. I’ve seen this time and again with my own students. When I neglect some of the beginning steps in setting up a practice routine I always pay for it later. Unless they have an amazingly on-the-ball parent who happens to have a strong music background, this won’t happen without your help. You need to put certain key elements in place right at the start if you want to have that wonder student who comes to you each week itching to show you all the great work she did during the week. I will set up my new students up for greatness with practice expectations and routines that they can use for years to come. 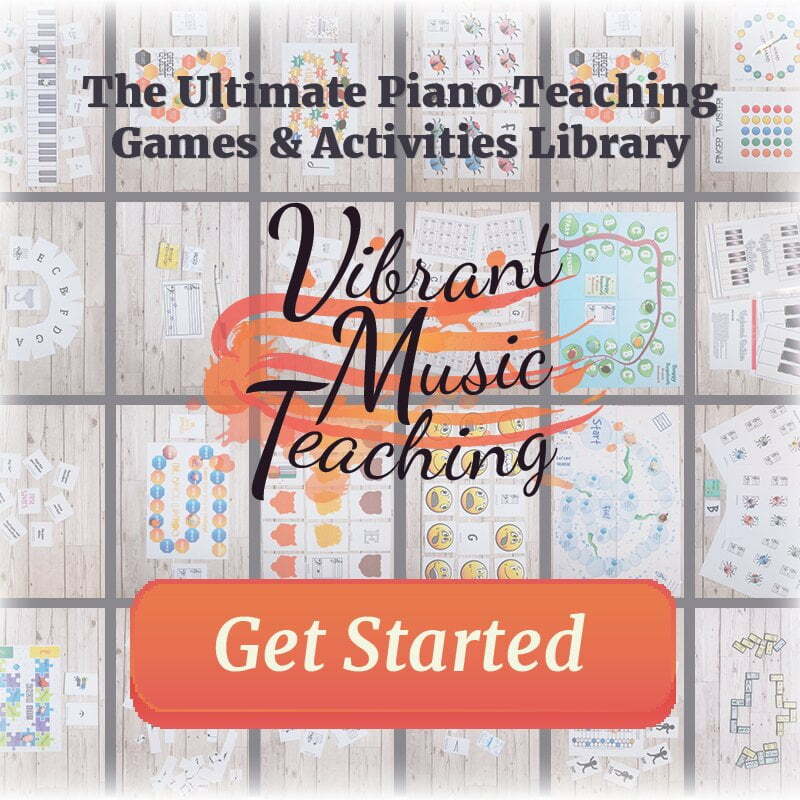 I’m going to be running through the eight steps I take to turn my new piano students into piano practice ninjas in the first few months of lessons. Sign up here to join me live (or catch the replay if you can’t make it at that time). 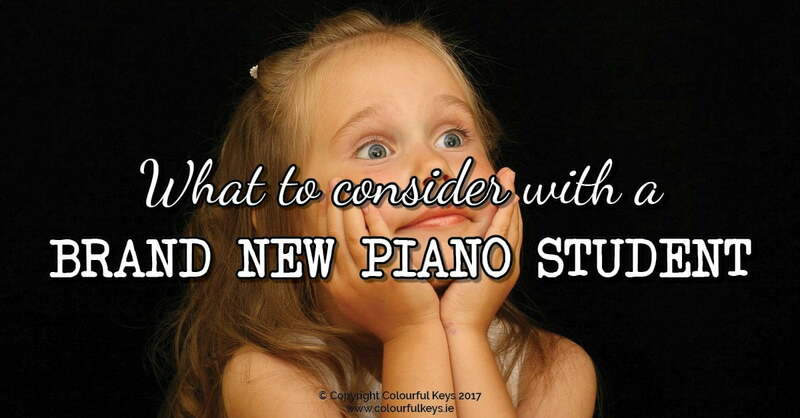 What do you think is the most important thing to achieve with a new piano student? Do you have a different objective to me for your students? Or perhaps something I’ve neglected about the parent teacher relationship? 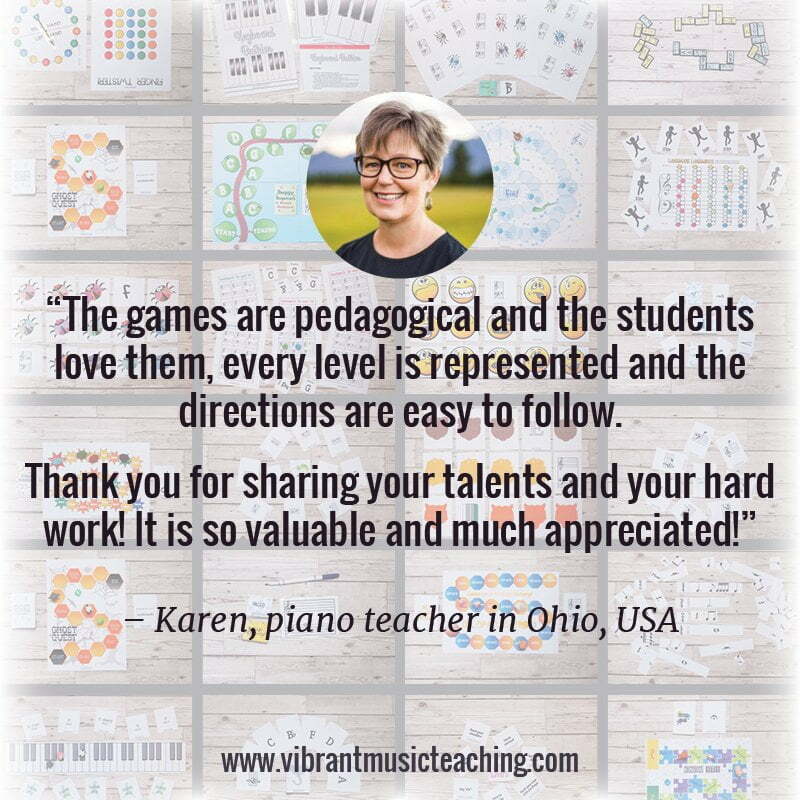 Share your thoughts in the comments or in the Vibrant Music Studio Teachers community on Facebook. 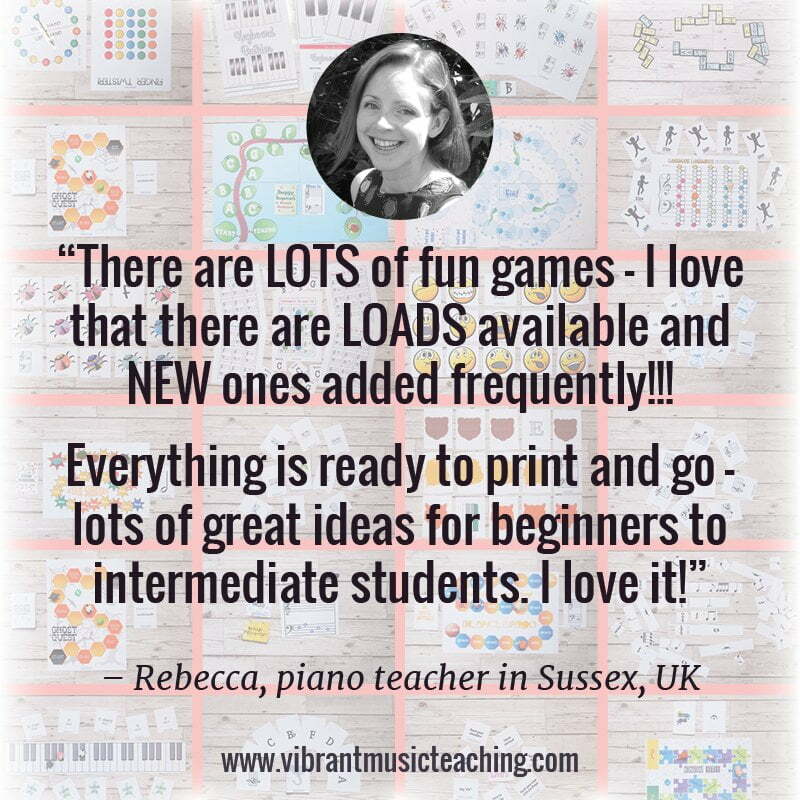 I love using the Piano Safari rote pieces too! Students love being able to play something that sounds like real music right away. Another tool most new students light up with is the Piano Maestro app. 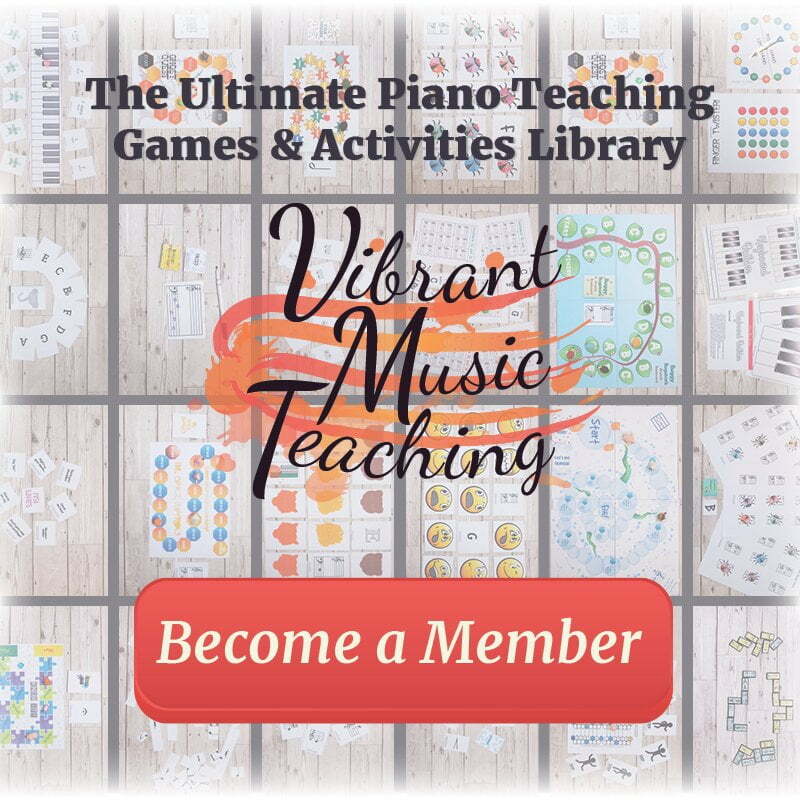 Although it starts with one or 2 note melodies reading on the staff, the background accompaniments, familiarity of the songs and video game style points and ranks really appeal to most beginners. Yes, another great way to make beginning lessons cool! Excited to join you tomorrow for the live webinar! I totally agree that rote pieces from the beginning are key to capturing a new beginner’s interest and giving them confidence that the music they are making actually sounds good. Last year I started using the ‘Seesaw’ app as a teacher-parent-student communication tool, which helps build parental support at home. It’s intended for classrooms, but I find it works great for my in-home studio. 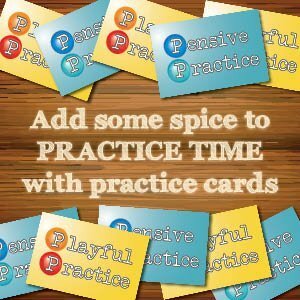 I am able to send little extra notes and parents can watch videos, see pictures and send comments. I think your flipped approach sounds really interesting to me, as it’s challenging me to think of more ways I can send information (via Seesaw!) to my students (usually late elementary onward) and have them come to their lesson to explore and try out the new idea. Sounds like that’s working really well Sara! You should definitely try sending some of the flipped theory videos over and see how it works. You can find them all on YouTube.